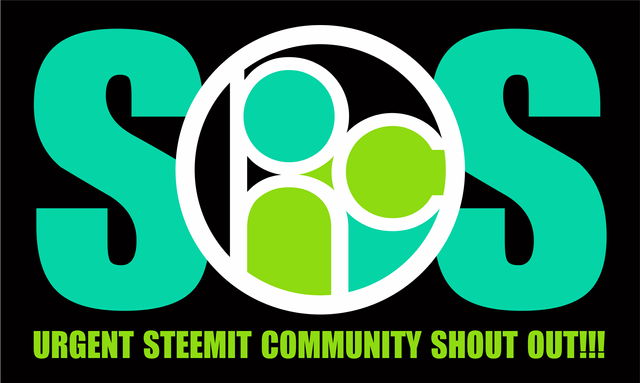 [S.O.S] CALL FOR HELP FROM ALL STEEMIT COMMUNITIES & INDIVIDUALS - WE NEED YOU!!! PLEASE!! !steemCreated with Sketch. I am posting this as an OFFICIAL CALL FOR HELP from the individuals AND communities of Steemit - whether in the delegation voting poll or not - whether voted or not! WE NEED YOUR HELP PLEASE!!! We have fought tooth and nail to hang on to our position in the top three and our community members have poured nothing short of blood sweat and TEARS into this every single hour of every single day! The reality is, we are the ONLY TRULY INTERNATIONALLY driven contender that now stands a chance at WINNING this - AND WE NEED YOUR HELP!! WE NEED THE HELP OF YOU AS INDIVIDUALS AND COMMUNITY HEADS. We realise many of you have voted already, but please can you help us find those that haven't! Please can you help us by spreading the word - resteeming our posts and well - ANYTHING ELSE YOU CAN THINK OF! Anybody who knows our community knows that we deserve this win and knows full well that the rewards of the win would be used to greatly benefit the platform as a whole! PLEASE HELP US WIN THIS!!! WE CANNOT DO THIS WITHOUT YOUR SUPPORT! THANK YOU TO ALL OF YOU THAT HAVE SUPPORTED US IN GETTING THIS FAR! WHAT YOU HAVE DONE FOR US IS INVALUABLE! I voted earlier already but now resteeming this for more visibility. Good luck! Thank you my brader @el-nailul ..i Will do it ..done! Have heard you guys are doing a great job so far, could not have done less. Thanks to @buttcoins , and all @ddaily fam! Good luck! I voted for you, and got some friends to vote as well. THANK YOU A THOUSAND TIMES!!!!!! Past is past :) Thank you for the support and for your kind words. ;) and thank you again for the resteem support. Much appreciated! I know we can win this thing, but now its crunch time and we need ALL the help we can get.. so if you are feeling generous enough to resteem ANY one of the posts on my profile that would be an ENORMOUS help again! Thank you!! Wish us luck as we approach the finish line! I know a very GOOD % of Steemit is rooting for us on this! Its so inspiring! Okay, it's a bit of an uphill battle as we are small but active! Let's make it count for real human, active and engaged communities and bloggers! We are not an automated upvote farm! Damn the other communities seem to be very strong. this is SO TOUGH!!! My brain is fried! I cannot even think straight anymore haha. THANK YOU!!!!! Yes!!! 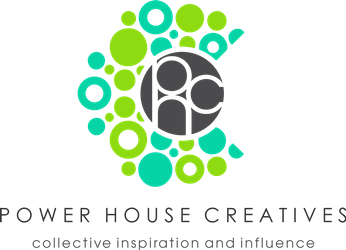 @steemitbloggers ( #powerhousecreatives ) so deserve to win this! We have fortified the Steem ecosystem with quality content creators(the best on Steem) and this delegation win will give us a BIG boost in adding value to the members. Thank you! If you are feeling generous, a resteem of this would be amazing!!! Already vote for steemitbloggers yesterday 😊💪💪keep going! Still watching from the sideline! The vote has been casted! Just waking up this morning...resteeming...be on later today. We are pushing forward to call all communities for support. Go Jude! Go Jude! Go Jude! We can do it, put your backs into it! Go GO gO gO gO gO GO! @beautifulbullies reached out to us in the poker community (@spl and @scorumpoker). Good luck in your endeavor. Upvoted, voted in the poll and resteemed to help your cause. oh fabulous! Thank you @beautifulbullies and thank you too @celsius100 for your support!!! Empowering one more human community supporting good content is great for everyone, right? Even for attracting attention to the platform and the growth of us all who care about it. Done and done!! Please support @steemitbloggers!! Thank you!!! Appreciate ALL the positivity and encouragement coming in... every SINGLE BIT counts! Just going to go vote for you now.